A £70,000 extension to a popular skatepark has been opened. Charnwood Borough Council announced plans to extend the skatepark in Southfields Park in Loughborough last month and people are being encouraged to get their skates on and try it out. 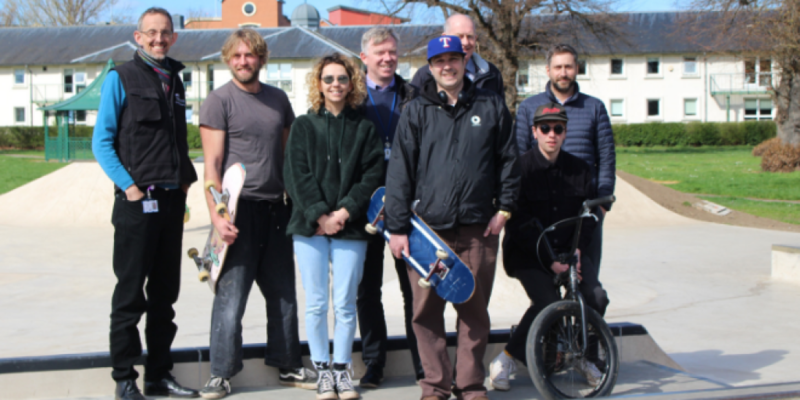 Matt Bradford, head of cleansing and open spaces at the Council said: “We know how popular the skatepark is and we hope the extension will allow more people to enjoy it. The skatepark offers more space, additional ramps and there is also a street section. It can be used by skateboarders, skaters and BMX bikers and it is hoped the extension will encourage new people to try it out. The work is part of a project to revamp the park which is off Leicester Road. Last year the Council installed an outdoor gym and improved the paths. There are also plans to add a new entrance to the park. The Council asked residents to give their views on the plans to revamp the park during a consultation in Spring 2018.